Would you like to earn your online degree at an institution where formal innovation is a significant part of the culture? In this article, we review the 20 universities that have been granted the greatest number of patents since 1969, where you can also earn a degree online. From designing a new technology to finding a medical cure, innovative universities are continually striving to make positive contributions to the world around them, and online students have a chance to be part. For this ranking, we focus on universities that were granted the highest number of Utility Patents by the U.S. Patent and Trademark Office between 1969 and 2012, and which also offer 20 or more online degree programs. The list is sorted by the number of patents granted, from lowest to highest. Although it was not used as criteria in our final listing, we do indicate whether universities were also ranked in the top 100 for the Academic Ranking of World Universities and highlight high scores in either scientific papers published (PUB) or highly cited researchers (HiCi), as these can be additional indicators of an innovative culture. Three of these universities are included in the top 25 in the Academic Ranking of World Universities. These are truly world-class institutions where you can earn your degree conveniently online. With campus locations in Amherst, Boston, Dartmouth, Lowell, Worcester, and online from anywhere, the University of Massachusetts is a public statewide university system with a world-class reputation for high-level teaching and research. In fact, UMass Amherst has emerged as one of the world’s best research institutions with very high research activity (RU/VH) by the prestigious Carnegie Foundation. Boasting a $25.6 million research enterprise, UMass Dartmouth is also inspiring the next generation of innovators by integrating required research experiences into the curriculum at the undergraduate and graduate levels. In all, the UMass system performs more than 90% of all academic research and development in the state outside of the greater Boston metropolitan area. Number of Online Degrees Available: Through UMassOnline, the University of Massachusetts system offers 70-80 online degrees, including a Master of Science in Family Therapy, Master of Science in Engineering Management, and Master of Public Policy. As home to more than 50 centers for research on campus, the University of Arkansas is a major comprehensive public institution that is classified among the research universities with the highest level of research activity by the Carnegie Foundation. Since being established as the state’s flagship land-grant university in 1871 in Fayetteville, U of A has stimulated the economy of Arkansas through lasting knowledge-based research partnerships. In fact, the University of Arkansas has recently been recognized for contributing cutting-edge research discoveries on alternative energy sources for sustainability by developing more efficient solar cells and reliable batteries for electric vehicles. Number of Online Degrees Available: At the University of Arkansas, students can choose from around 20 different online degree programs, including a Bachelor of Science in Business Administration, Master of Education, and Doctor of Nursing Practice. Featuring the first business park in the state to market exclusively to research-based companies as a catalyst for development, the University of Missouri is a large comprehensive public university system that serves more than 75,000 students with campuses in Columbia, Kansas City, Rolla, and St. Louis. Ranked among the top 15 universities in the world for animal and plant science research, the innovative online college offers student-driven Mizzou Advantage programs, which incorporate agriculture bioscience research for the future. The 10-megawatt University of Missouri Research Reactor (MURR) is also internationally recognized as the most powerful research reactor among dozens located on university campuses nationwide. Number of Online Degrees Available: Within MizzouOnline, students have the option to pursue around 50 different online degrees, including a Master of Science (M.S.) in Agricultural Education, Master of Social Work (MSW), and Master of Health Administration (MHA). As home to the Nebraska Innovation Campus where students connect with the private sector to transform ideas into innovation that impacts the world, the University of Nebraska is a diverse public research university system with over 50,000 students in Kearney, Lincoln, and Omaha. In addition to having more than 100 years of experience in distance education, NU has a robust research enterprise with important innovations in agriculture, natural resources, highway safety, nanotechnology, alternative energy, and early childhood education. Among the top 30 public universities in the nation in research spending, federal funding at NU has more than doubled since 2000 with new state-of-the-art research facilities. Number of Online Degrees Available: Through the University of Nebraska’s Online Worldwide, students can choose from over 50 online degree programs, including a B.S. in Criminal Justice, M.A. in Media Studies, and Ed.D. in Educational Administration. Since being founded in 1831 as the state’s first public college, the University of Alabama has grown into a major student-centered research university of over 33,000 students with a creative campus in Tuscaloosa. Ranking first among all public universities nationwide in the enrollment of National Merit Scholars, UA is well-known for being home to the Alabama Innovation and Mentoring of Entrepreneurs Center (AIME), which helps students make their innovative ideas successful for the benefit of society. Since participation in original research is a hallmark of all undergraduate degree programs at UA, the university hosts the large “Undergraduate Research and Creative Activity Conference” each year with over 550 students’ work. Number of Online Degrees Available: The University of Alabama’s Bama By Distance offers around 50 different online degree programs, such as an M.S. in Aerospace Engineering, M.S. in Nursing, and Master of Library and Information Studies. Featuring a “Student Research Week” for undergraduate and graduate students to showcase their innovative work each year, Texas A&M University is ranked as the sixth largest university in the nation with over 50,000 students enrolled worldwide in on-campus or online programs. Consistently named among the country’s top-tier public research institutions, Texas A&M generates more than $820 million in research expenditures in over 600 initiatives annually. Strategically positioned in the northwestern corridor of Houston, the campus also features a 400-acre Research Park with ten diversified state-of-the-art facilities with space for innovative companies. Number of Online Degrees Available: Texas A&M University features more than 25 online degree options for earning a Master of Agriculture, Master of Wildlife Science, Master of Education in School Counseling, Master of Industrial Distribution, and more. With university researchers attracting more than $100 million in funding from federal, state, and industry partners each year, the University of Central Florida is a dynamic public research institution with more than 60,000 students on its main campus in Orlando and nine regional campuses statewide. UCF has a world-class reputation for being a research leader in the sciences, engineering, optics, photonics, modeling, simulation, and healthcare-related fields in its state-of-the-art Research Park with 10,000 employees. Moreover, UCF is home to the Business Incubator, which has created more than 900 jobs and helped young companies with the innovative tools necessary to become stable enterprises. Number of Online Degrees Available: The University of Central Florida offers approximately 20-30 online degree programs to choose from, including a B.A. in Sociology, B.S. in Psychology, and M.S. in Environmental Engineering. Situated on a beautiful urban campus on Tampa Bay along the state’s spectacular west coast, the University of South Florida is a high-impact public global research institution with a diverse and engaged student body of over 48,000. Among the top 50 universities for federal research expenditures, USF is also home to more than 2,000 scholars who are pioneering new frontiers in medicine, science, engineering, business, and the arts. With a world-class reputation for leading in research on brain diseases, photovoltaic technologies, sustainability, veterans reintegration, and juvenile diabetes, USF’s Research Park is the a global epicenter for innovation that has surpassed the $400 million mark for research awards. Number of Online Degrees Available: At the University of South Florida, students have more than two dozen online degree programs to pick from, including a B.S. in Information Technology, MBA in Sport Business, and M.A. in Global Sustainability. Since being founded as the first public institution in the country, the University of North Carolina has grown into a major research headquarters with over 220,000 students enrolled on 16 university campuses statewide. Ranked ninth among public research universities with around $777 million in federal funding, UNC has a history of pioneering cutting-edge innovation in public service, ranging from educational policy to biotechnology. In fact, UNC is recognized for having the top-ranked public research library system in the Southeast and was named the 18th best university for working post-doc in the United States by the Chronicle of Higher Education. Number of Online Degrees Available: At the University of North Carolina, online students can choose from more than 20 degree programs, including a Master in Molecular Diagnostic Science, Master of Public Health (MPH), and Doctor of Physical Therapy. Along with its 24 campuses statewide, Pennsylvania State University is an elite public research institution that serves the academic needs of more than 100,000 students in one of the largest online campuses in the world. With the Milton S. Hershey Medical Center being granted the Consumer Choice Award through the National Research Corporation for 13 consecutive years, Pennsylvania State University consistently ranks near the top nationally in annual research support in the sciences and engineering. Based on ARL’s Library Investment Index Rankings, Penn State’s library system also takes the 8th spot among research libraries in North America. Furthermore, Penn State is ranked #5 on our list of Top 20 Online Colleges with High Return on Investment. Number of Online Degrees Available: As part of the World Campus, Penn State offers more than 75 accredited online degree programs, ranging from a Bachelor of Arts in Organizational Leadership to Master of Homeland Security and Doctor of Nursing Practice (DNP). As one of the few major public research institutions that the nation depends on for a steady stream of new innovative knowledge, the University of Southern California is anchored in the booming metropolitan hub of Los Angeles with more international students than any other university in the United States. With $650 million in annual research expenditures, USC is particularly well-known for ranking first in the country among all universities in the size of its computer science research programs. 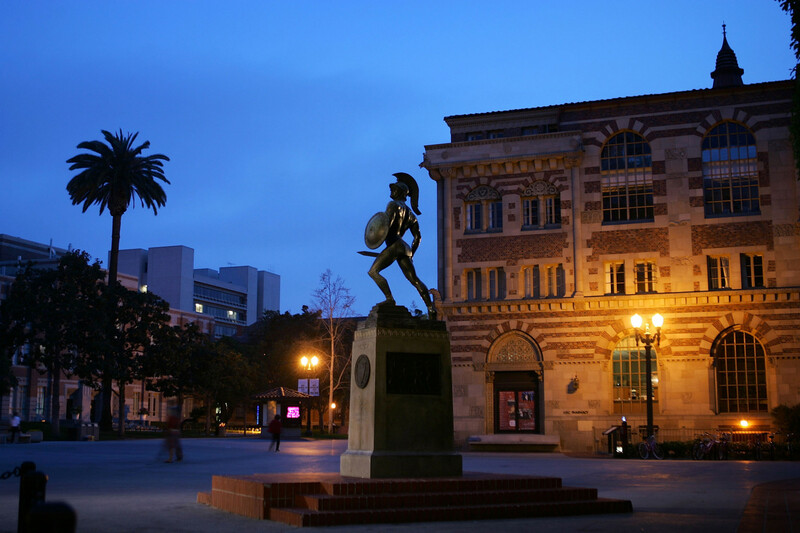 The USC Stevens Center for Innovation is also well-known for being on the forefront of creative research for science, language, leadership, and culture. Number of Online Degrees Available: With 80 online degree programs to choose from, the University of Southern California enables students to earn a Master of Arts in Teaching, Master of Science in Biomedical Engineering, Master of Public Administration, and more online. Established as one of the top-tier pioneering public land-grant research institutions in the world, Michigan State University is known for bringing path-breaking ideas to the business marketplace to improve the quality of life for communities in Michigan and beyond. With over $477 million in external funding from the National Science Foundation and the National Institute of Health annually, MSU is home to dedicated Spartan scientists with particular research expertise in the food and agriculture system. With more than 300 scientists, the award-winning MSU AgBioResearch Center has positively contributed to initiatives for curbing childhood obesity, developing alternative energy, and improving life-quality for Michigan families. Number of Online Degrees Available: At Michigan State, students can choose from more than 40 online degree offerings, including a Master of Arts in Biomedical Laboratory Science, Master of Science in Judicial Administration, and Ph.D. in Physics. Often lauded as the country’s most student-centered major public research institution, Iowa State University has an impressive history of innovation within the elite Association of American Universities. In fact, Iowa State is known for creating the world’s first electronic digital computer, largest tornado simulator for wind energy research, and highest resolution immersive virtual reality laboratory. As home to the nation’s best genomic-based agricultural breeding programs, the university also has the largest concentration of expert faculty involved in agricultural research in the United States. In addition, the Ames Laboratory has won 33 research awards from the U.S. Department of Energy for introducing the most technologically significant products. Number of Online Degrees Available: Within Iowa State University, students have the option to select from about 25 online degree programs, including a Bachelor of Liberal Studies (BLS), Master of Science in Agronomy, or Master of Science in Seed Technology and Business (STB). As the state’s most comprehensive public research institution and leading educator, the University of Illinois has more than 78,000 students spread across three distinctive campus locations in Urbana-Champaign, Chicago, and Springfield. With internationally renowned faculty members who have won more federal research funding than all other public Illinois colleges combined, U of I is among the 96 universities to be classified as having very high research activity by the Carnegie Foundation. After all, the University of Illinois has been on the cutting-edge of producing major advances like the Mosaic web browser, robotic transplant surgery, and the famous Illini Super Sweet Corn. Number of Online Degrees Available: As part of U of I Online, students have the opportunity to pursue around 35 different online degree programs, including a Bachelor of Business Administration (BBA), Master of Health Professions Education (MHPE), or Master of Teacher Leadership (MTL). Renowned for being the largest comprehensive public research university system in the United States, the State University of New York (SUNY) includes 64 campus locations that serve the academic needs of over 468,000 students in more than 7,500 degree programs. With total research expenditures approaching the $1 billion mark each year, the SUNY system is particularly committed to sustainability initiatives for green technologies with 10 of its campuses being named top “Green Colleges” by the Princeton Review. SUNY’s Health Network of Excellence is also internationally renowned for conducting innovative biomedical research. Number of Online Degrees Available: Within the Open SUNY System, online students have nearly 400 accredited degree-granting programs to select from, including an A.A.S. in Tourism Management, B.S. in Labor Studies, M.S. in Accountancy, and Executive MBA. With vibrant campuses situated in the Twin Cities, Crookston, Duluth, Morris, Rochester, and 16 other regional extension centers, the University of Minnesota is a large multi-campus public research university system that offers world-class educational opportunities for more than 68,000 students statewide. On the innovative edge of research, inventions by the university’s researchers have generated nearly $390 million in revenue for just the past five years. In fact, the University of Minnesota is credited with producing the creative thinkers behind the world’s first wearable cardiac pacemaker, retractable seat belt, and Post-It notes in its state-of-the-art research facilities. Number of Online Degrees Available: Through the University of Minnesota’s Digital Campus, distance learning students can enroll in 20-30 online degree programs, including a B.S. in Communications, Bachelor of Manufacturing Management (BMM), and M.S. in Computer Science. Taking advantage of its strategic location in the major global center of New York City, Columbia University is an elite private research institution in the Ivy League with more than 27,000 students and over $230 million in patent-related deals annually. The Columbia University Medical Center has stood out as an internationally recognized leader in the healthcare research, including the first successful heart transplant in a child, first use of dilantin to treat epilepsy, and Nobel-winning developments in cardiac catheterization. Since 1949, the Lamont-Doherty Earth Observatory at Columbia has also been considered the leading research institution focused on global climate change, earthquakes, and other environmental hazards. Number of Online Degrees Available: Columbia University now offers nearly 30 online degree programs, including a M.S. in Actuarial Science, M.S. in Operations Research, and Ph.D. in Computer Science. Since being founded in 1853 as the state’s first higher education institution, the University of Florida has grown into a major comprehensive public land-grant research institution with over 50,000 students, including 7,000 students worldwide in its distance learning programs. At the 4th spot in the Center for Measuring University Performance’s “Top Public Research Universities,” the University of Florida averages 300 new inventions each year with research awards around $619 million. In fact, more than 100 biotechnology companies have emerged as a result of research in the Florida Innovation Hub. Number of Online Degrees Available: At the University of Florida, there are more than 50 different online degree programs to choose from, including a B.S. in Sport Management, M.S. in Aerospace Engineering, and Ph.D. in Curriculum and Instruction. As one of the world’s most prolific public research institution with a desire to apply new innovative ideas to real-world problems, the University of Wisconsin at Madison is known for being a global leader in life science research as well as technology development. Ranked 2nd in the nation for federal funding among public universities, the university has been considered a major national hub for stem cell research since Professor James Thomson became the first to isolate human embryonic stem cells. UW-Madison is also famous for being the first to test butterfat content in milk, discover vitamin A, create methods to iodize salt, and conduct the first successful bone marrow transplant. Number of Online Degrees Available: Through the eCampus, the UW Madison offers over 40 online degree programs, including a M.S. in Engineering, M.A. in Library and Information Science, and M.S. for Professional Educators. Headquartered in Austin with nine academic centers located in Arlington, Austin, Brownsville, Dallas, El Paso, Pan American, Permian Basin, San Antonio, and Tyler, the University of Texas is a multi-campus comprehensive public research university system that serves more than 216,000 students nationwide. As the top research institution with 2,321 patents, UT is particularly well-known for fostering “no-fence” multidisciplinary clinical research that has led to many of the most significant discoveries of our generation, including the life-saving statin drugs. In fact, the system’s research helps contribute about $2.8 billion and 16,000 jobs to the Texas economy each year. Number of Online Degrees Available: Through the UT Online Consortium, students can enroll in around 40 online degree programs, including a B.A. in Psychology, M.S. in Kinesiology, MBA, and M.A. in Special Education. 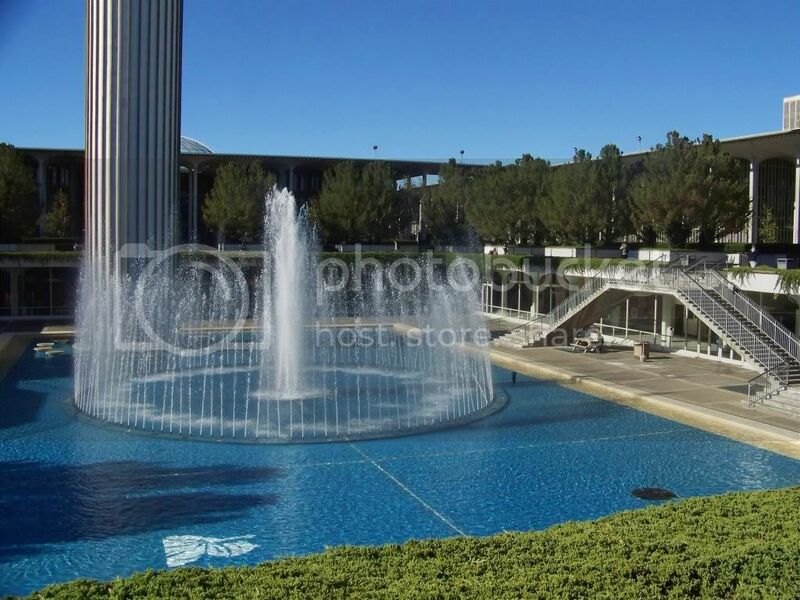 Although the University of California – Los Angeles does not offer many online degree programs, the major public research university with the highest number of patents is definitely worth a mention. As home to 290 medical research centers and distinctive institutes in the downtown metropolitan center of Los Angeles, UCLA generates $1 billion in research funding annually to push forward in innovative technologies that are reshaping the world. With more than 100 companies created based on technology developed at UCLA, the premier research institution is credited with developing desalination in its first practical form, creating software clouds, and giving birth to the Internet. Number of Online Degrees Available: UCLA Extension currently offers just two fully online degree programs, but they are in very popular majors leading to a Flex MBA and Master of Science in Engineering degree. When you choose to attend an accredited online innovative university, you will benefit from taking courses with top researchers, learning about the latest developments in your chosen field, gaining hands-on research experience, networking with distinguished professionals, and having an advantage in the future employment marketplace. Therefore, it is recommended that students seeking distance learning options consider these top 20 most innovative online colleges for earning their degree in an energized learning environment. Do Colleges Offer Research Opportunities at the Undergraduate Level?